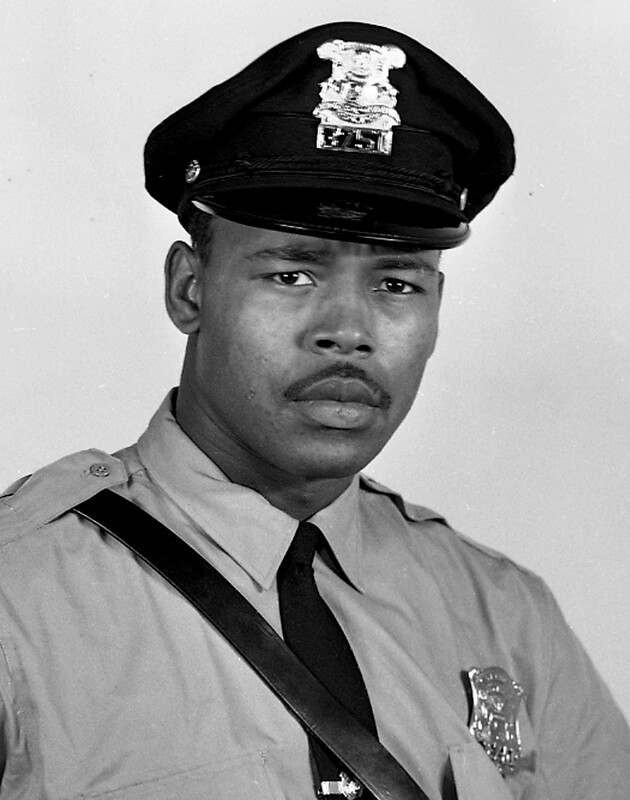 Police Officer Alonzo Marshall, Jr. Officer Marshall was shot and killed while attempting to arrest two men who had just robbed a store belonging to his brother-in-law. Officer Marshall had just left the store around 5:45 p.m. when his brother-in-law came running out behind two men and yelled "Help, they robbed me." As Officer Marshall and his brother-in-law chased the suspects an exchange of gunfire ensued and Officer Marshall was shot once in the chest. A bystander was shot in the leg. A getaway car was waiting for the suspects but Officer Marshall's brother-in-law blew out the rear tires with his rifle as they tried to drive away. The suspects along with the driver then fled on foot. One of the suspects was arrested a short time later. The other suspect was captured two weeks later when he was found hiding under a pile of clothes in the closet of his apartment. Two other men and a 15-year-old boy were arrested and charged in connection with Officer Marshall's murder and the robbery. Officer Marshall, a U.S. Air Force veteran, had served with the agency for 2 years. He was survived by his son. To fully appreciate the heroes of the present, we must recognize our heroes of the past. Your heroism and service is honored today, the 42nd anniversary year of your death.